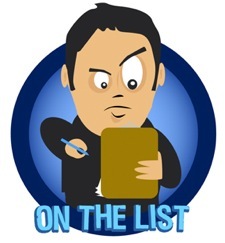 Did I make Tammy’s list? Tammy: I’ve got to make a To Do List. Me: Now? (thinking it was for me). Tammy: I keep thinking about stuff I want to do today. Me: Is one of them me? Gallery | This entry was posted in Daily Life and tagged daily life, humor, Tammy. Bookmark the permalink. Scary. I think a version of that conversation has been said in our house. Men are too strangely similar.